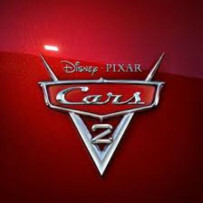 Many of us with little ones at home are planning to take them to see the new Cars 2 movie that opens this weekend. Not only am I going on Saturday morning, but by doing so, I am donating to a wonderful cause. Angie Ogean, a local teacher, has organized a fundraiser benefitting the education fund for the children of Susan Lyons, who recently passed away. Their father, Sean Lyons, is a teacher at Liberty School. If you would like to attend but still need tickets, a table will be set up at 9am at the theater for ticket purchase. This entry was posted in Everything else, Family, Parenting, Uncategorized and tagged Cars 2, Fundraiser, Orland Park. Bookmark the permalink.